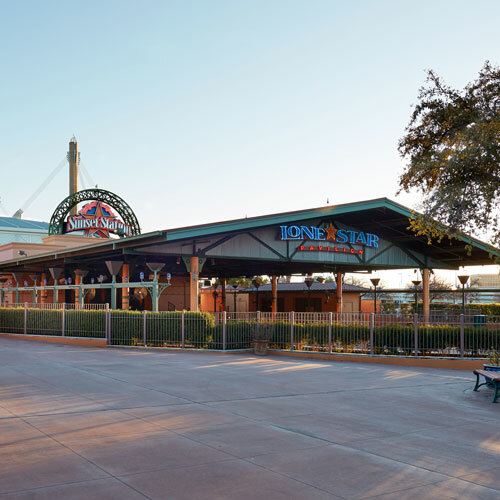 The Lone Star Pavilion is an outside covered amphitheatre and boasts a wide stage, an ample seating area and industrial decor. The Lone Star Pavilion is the perfect place to host a corporate concert, product launch or showcase, or even a festival-styled event. This flexible and vast open space allows guests to get up close and personal with your headliner entertainment and provides numerous options for seating and layout.